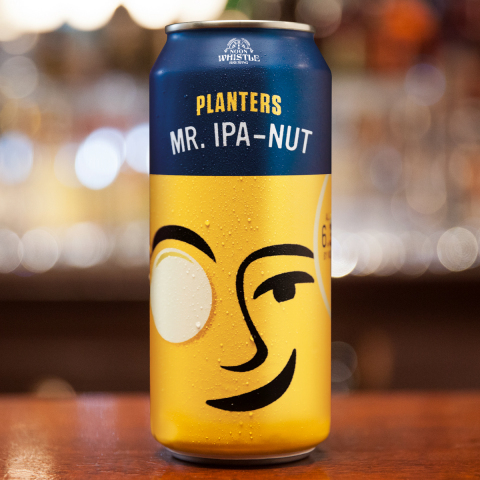 PITTSBURGH & CHICAGO--(BUSINESS WIRE)--Oct. 23, 2018-- Today, PLANTERS announces that the peanut company is launching a beer, Mr. IPA-Nut, marking the iconic brand’s first entry into the craft beer market. Mr. IPA-Nut is available in 4-packs of 16oz. cans for $9.99. The can features PLANTERS long time icon, Mr. Peanut & is available exclusively in Illinois beginning October 27th at select stores http://www.noonwhistlebrewing.com/planters-collaboration.html, and at Noon Whistle Brewery in Lombard, IL. Join the conversation using #BeerGoesNuts on Twitter @MrPeanut, Instagram @MrPeanutOfficial, Facebook@MrPeanut and by using #BeerGoesNuts. The Kraft Heinz Company (NASDAQ:KHC) is the fifth-largest food and beverage company in the world. A globally trusted producer of delicious foods, The Kraft Heinz Company provides high quality, great taste and nutrition for all eating occasions, whether at home, in restaurants or on the go. The Company’s iconic brands include Kraft, Heinz, ABC, Capri Sun, Classico, Jell-O, Kool-Aid, Lunchables, MaxwellHouse, Ore-Ida, OscarMayer, Philadelphia, Planters, Plasmon, Quero,Smart Ones and Velveeta. The Kraft Heinz Company is dedicated to the sustainable health of our people, our planet and our Company. For more information, visit www.kraftheinzcompany.com.